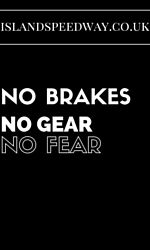 They cannot have any breaks, and must only use one gear. The clutch is the release mechanism. There are other rules as well – for example, motorcycles used for Speedway racing must not use any turbos or superchargers, as well as electrical components for engine-control. Producers cannot avoid the 77 kilo minimum by using Titanium parts or ceramics, and they should be using shatter resistant plastics where that is reasonable. As with most vehicles used for racing, the evolution of Speedway motorcycles has been immense in the last century. From old-fashioned, slow bikes that would often fall apart if the driver did not use them correctly, the motorcycles have evolved into beautiful, fast, efficient and powerful machines. In the very beginning of Speedway history, most bikes had a so-called “upright” engine, whereas these days the bikes have a laydown engine instead. This gives better control of the bike, and makes drifting into the curves of the Speedway tracks a tad easier. Among the most famous producers of Speedway motorcycles, you will find JAWA – a Czech manufacturer that has focused on the action packed sport since its early days. JAWA bikes have been in use at Motorcycle speedway for decades, and won several trophies with the help of legendary drivers like Ivan Mauger og Ole Olsen. The first of these two, Mauger, is considered one of the greatest Speedway racers of all time, with an unbelievable record of six World Championship titles during the 1960s and 70s.